We will be setting up for our 2nd Annual French Flea Market at the store. This years event is already looking to be a memorable one! Here is a quick overview of last year's event. Even though it rained most of the day...it was an incredible experience! This year's Flea Market is already looking like it will be an amazing event! Because...I have some really exciting news! The event will take place July 9 and 10th (Friday and Saturday)...2 days instead of just one! Is making a special run....just for the Flea Market! You can contact The Store for more details! 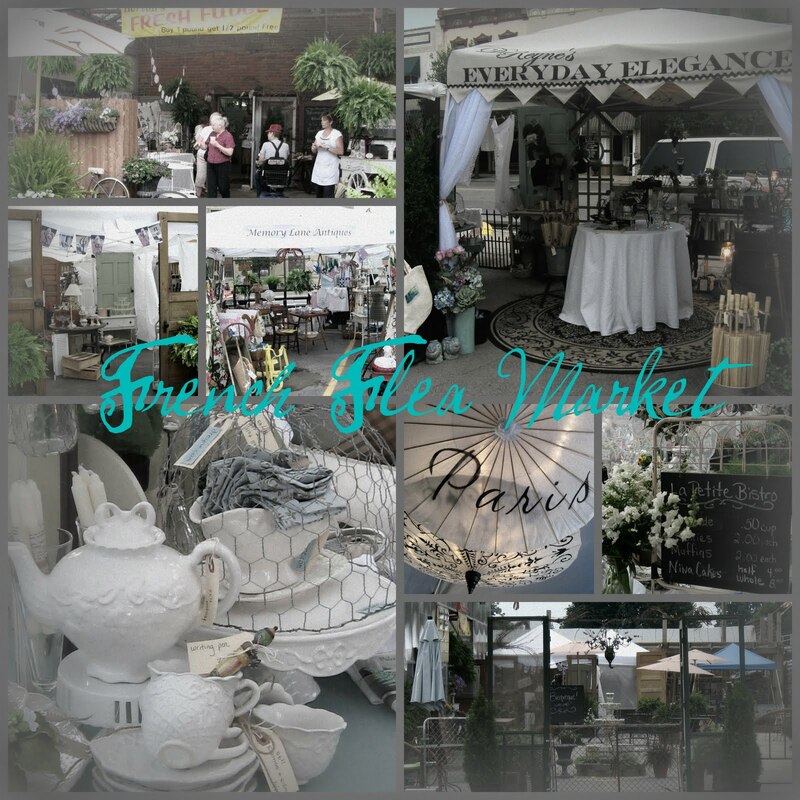 Rebecca Ersfeld (Rebecca for Vintage Living)is coming as a Special Guest Vendor!!! Tracey Leber(French Larkspur) is coming to photograph the event!!! I Know ! Is this not the coolest news! Okay, so it's almost all we talk about! I will give you more updates and photos of goodies I am working on as they are finished. 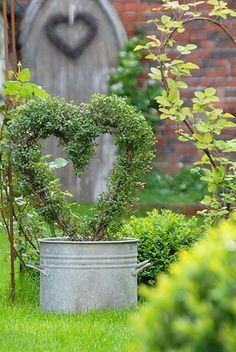 That I have decided on a French Jardin Theme for my Space. Everything that I have been finding or making is along this theme. I have been making some beautiful linen handbags. I have been carrying it everyday for the past week! I truly love it! 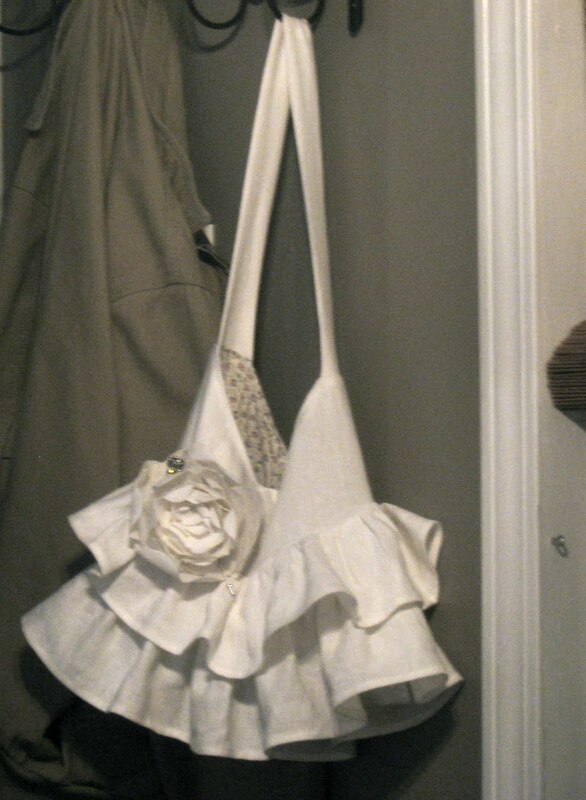 I love linen anyway and this bag is so flirty and fun! 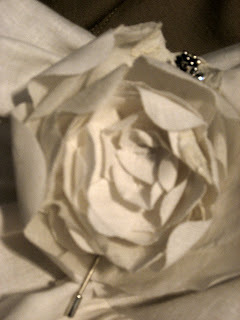 I have also been making the corsage type roses and peonies from the linen as well. This one is made from a creamy white linen and organdy. It is so pretty pinned on my cardigans and denim jacket. But It would also look great on a bag or purse! When I get a little bit more done. Well, it's really coming along! And I will post some photos of the new utility room next week! I am working with the very talented Mandy at A La Parisienne. I can't wait each day to get home from work...just to see what Mandy has done! L LOVE your blog's new look! Wish I come and visit your French Flea Market. I would buy a ruffle bag for sure!!! Have fun setting up and hope it all goes well for you. Wow this is some great and exciting news. I love Rebecca and who doesn't love Tracey? I wish I could be there to be one of your vendors... I would have some sweet freenchie goods and oh my towels hanging on a clothesline ooh la la :) anyhoot, I can't wait to hear more details. Donna, wow, your blog is gorgeous and the ruffle bag. oh my, I love it!! Can't wait to hear more about your French Flea Market. sounds wonderful!! WOW... your blog is GORGEOUS!!! Girl! Sooo beautiful!!! Wow, talk about an all-star gathering! This really does promise to be memorable. And I am CRAZY about your new look! It suits you, beautiful and elegant! Okay...first of all the blog looks amazing! I love it! I wish I could just hop on a plane and come to the event...it's going to be fabulous! How great that Tracey will be taking the photos! I can't wait to visit your shop, you should put some of those gorgeous purses and flowers in there! I LOVE the one you made for yourself! I am so happy for you girl! GORGEOUS facelift on your blog!! Love it! And just where is this flea market going to be?? You are in Indiana right?????? I may be able to come if it isn't too far away!!! Would love to know more about it. PS I LOVEEEEEE that handbag!!!!! Donna your blog looks gorgeous! I love it. Everything you do, you do so well. Like that darling ruffled bag...be still my heart! I do hope that the reno is going good and that you aren't totally wearing yourself out. have a wonderful show. Last years looked like it was such a beautiful experience. hugs to you dear one! Love the new look Donna! Your flowers and purse are fabulous! Can't wait to see you tomorrow!!! Just wanted to say how much I enjoyed myself today and it was so great getting to know you better, I really had fun and can't wait to do it again. I hope you have a wonderful time with your kiddies this weekend. donna, i imagine you get asked about that FAB purse everywhere you go. exquisite! all your news is exciting too. yay! Love the look of your blog design...Very chic! Donna, I adore your header your blog is beautiful, I love the linen tote, major talent you have. I will be back to take it all in again and agian. 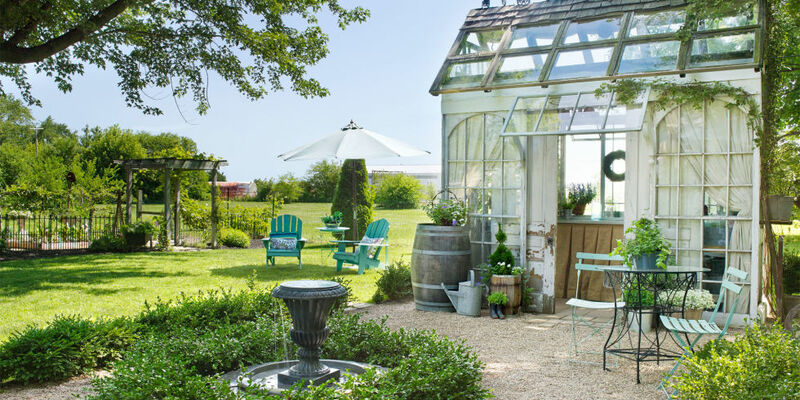 Donna - I LOVE the new look of your blog....the flea market looks like a BLAST! Wishing you well and many blesssings!